Sometimes – well, okay, probably more than sometimes – the weather that’s outside on a new day isn’t what was predicted the night before. The margin of difference can be slight or it can be night and day; arriving like a complete surprise. In the case of days where dismal conditions give way to a clear and sunny morning, no one is liable to complain. The unexpected is like a bonus. Well, in much that same way, when the dawn of another New Music Friday is already set to unleash albums one knows they’ve been anticipating and longing for, who’s going to complain about the sudden release of new music by a band they enjoy? The fact that the band’s name matches the bright spring sky is just a coincidence but, the fact that their music is equally as light and relaxed is not. A group whose hometown crowds span from the forks of the island to the boroughs of Brooklyn, this is Sunshiner’s newest studio venture since the release of their eponymous debut EP just over a year ago in March 2016. The overall takeaway from that four track record was a bestowing of easy-going, clean, and sprightly musical ambiance that fit the summer season’s long days, and socially buzzing nights, like a glove. “Ah-Ha” plays through just as effortlessly as the tracks that came before it. The band has taken a long weekend with this song; it comes fully equipped with a mellow mid-tempo setting, a vocal melody that embraces longer held notes over rapid fire phrases packed to the brim with aurally zig-zagging syncopation, and tonal choices on the various guitars that project a glossy sound undisturbed by effects of any aggressive or aggressively applied nature. Where things have expanded from the style self-titled tracks is with the inclusion of a few synthesizer sounds – some long in sustain and some short but soft in tone – the latter like a blurred droplet effect. Delay, reverb, and careful mic placement (with a possible room plug-in somewhere in the mix?) on most of the instrumentation gives “Ah-Ha” just enough of a resulting meld to keep the addition of the digital sounds from feeling like a surgical injection of a hard lined synth-pop aesthetic a la current Fitz and the Tantrums or newest EP by Foster the People. (This despite the fact that “Ah-Ha” does take a liking to a bit of indie pop jangle and the high pass filtered touch on Fazziola’s vocals – combined with his natural vocal mannerism – does give off an impression of some admiration toward Foster the People’s aesthetic circa Torches and its signature lead, “Pumped Up Kicks”). Still, enough restraint is also kept in mind so that each of the four gentlemen turning Sunshiner’s musical gears rings out with singular distinction. The similar but individual sounds of the group’s guitars criss-cross over one another in their written parts (quite nicely in the bridge with some cheerfully classic major third harmonization) but sonically, they remain separate enough to allow for clear appreciation of each tone as opposed to the two bleeding over one another like a pair of running water colors (no matter how complementary they are). Cascio’s bass stands out well enough from sheer lower pitch placement but his tone strikes with poise between defined and punctuating, and brushed enough to stop short of a slap or jazz vibe – even if a nice jazzy bass is relaxing in its own right. Where a definite edge steps forth on “Ah-Ha” is almost entirely from Carey’s kit; or more specifically, his snare drum. Recorded and mixed to give off a short attack, dry tone, and snappy layering, his hits on beats two and four of the verses contrast against the rest of the players from all angles of volume, tone color, and rhythm; almost like recurring sparks that shoot up and cut through the smoke of a summer bonfire. 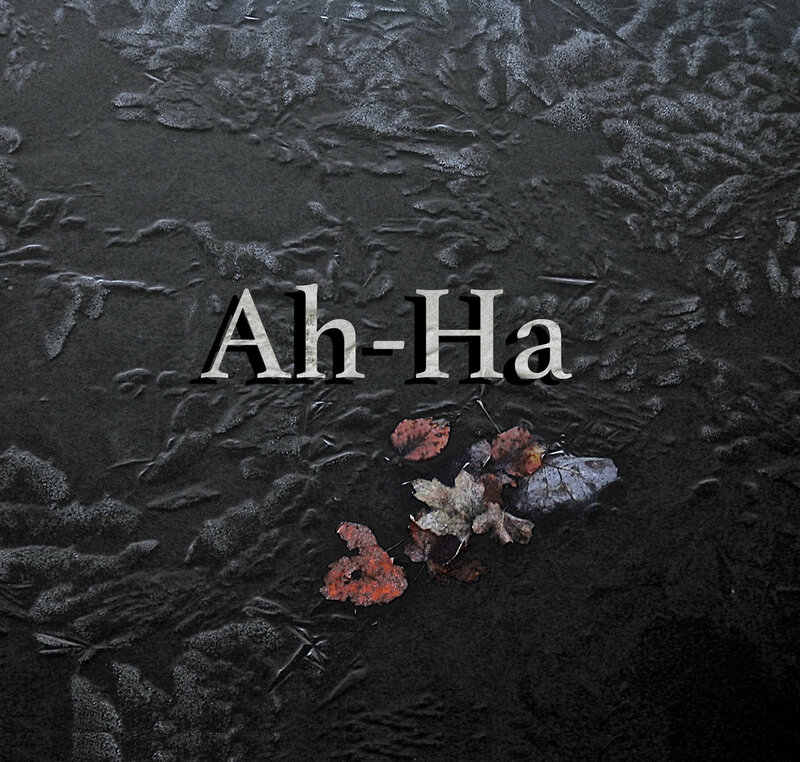 Listening to “Ah-Ha” is an experience of overall very pleasant proportions. The mix strains in a few places but understanding the track was constructed with an entirely DIY approach, the impression it leaves is one of enthusiastic charm. Paired with a cold drink and a good spot in the sun, maybe “Ah-Ha” will inspire listeners with enthusiasm and spontaneous ideas of their own. “Ah-Ha” is available now on Bandcamp.